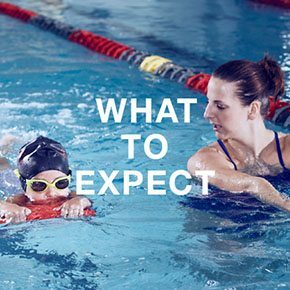 From beginner to advanced, all ages can learn how to swim at our Richmond and Fredericksburg gyms. Whether for leisure or athletic competition, swimming is a great activity. Every age is welcome to participate in swimming lessons at our gyms in Richmond; adults will find an amazing aerobic workout that improves lung capacity and tones muscles. Children will learn how to be safe in the water at every age. Register now and get in the swim of things. Held in our indoor training pools, swimming lessons at American Family Fitness are taught by instructors certified by the American Red Cross and their "Learn to Swim" guidelines. Beginner classes teach how to float, breathing techniques, and basic strokes. More advanced classes teach more complex strokes, kicks and turns. Just bring a towel and get ready to master the water. Swim lessons are available as private, semi-private, and group sessions. 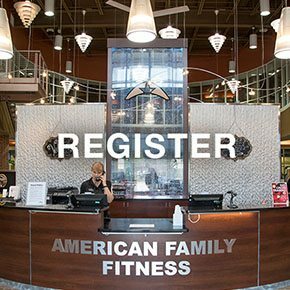 Visit the Welcome Desk of the American Family Fitness location nearest you or click "Register" above. 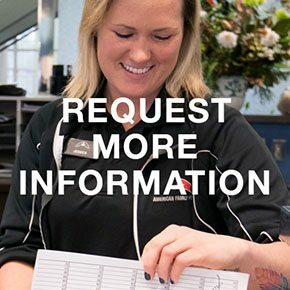 Have a question regarding swim lessons or our swim club program? Contact Debbi Moore, Director of Aquatics at dmoore@amfamfit.com or click "Register" for a list of our upcoming schedules.